Available in two sizes (15ml and 30ml), the Multi-Molecular Hyaluronic Complex (MMHC2) is housed in a glass bottle equipped with a dropper dispenser. Made with 15 different forms of hyaluronic acid and sodium hyaluronate derived from various sources (ex. tamarind, mushroom, yeast), this is a water-based serum that can be used alone after cleansing and toning or in combination with NIOD's Copper Amino Isolate Serum. As you can see from the photo below, the MMHC2 has a thin, liquid texture that's indistinguishable from water. It spreads easily on the skin and absorbs very quickly. When used in conjunction with your usual skincare products, the serum provides extra hydration and improves the skin's plumpness and smoothness. 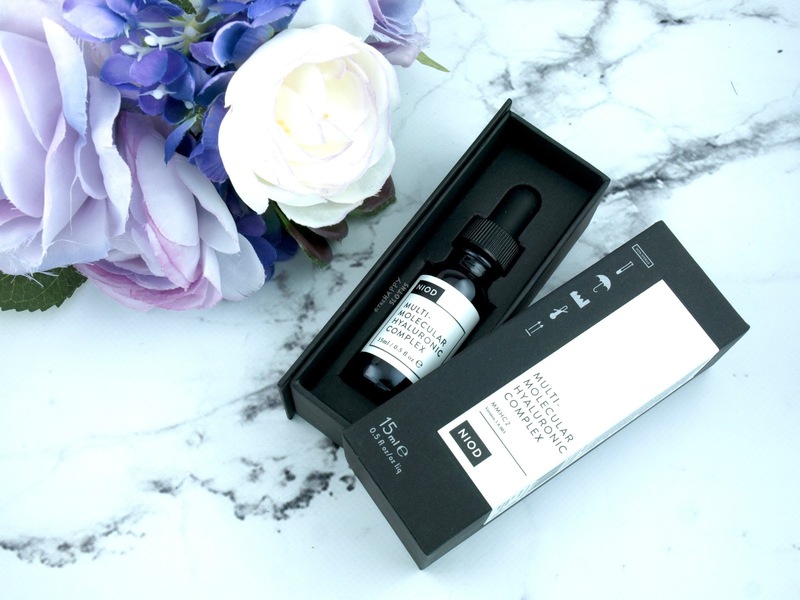 The MMHC2 is special (even compared to DECIEM's The Ordinary's Hyaluronic Acid 2%) in that it contains not only sodium hyaluronate but also hyaluronic acid. The two are in fact different from each other in that hyaluronic acid "offers pro-repair support far beyond basic water hydration that sodium hyaluronate offers". To be completely honest, I didn't really see a dramatic difference between this and The Ordinary's Hyaluronic Acid 2%. 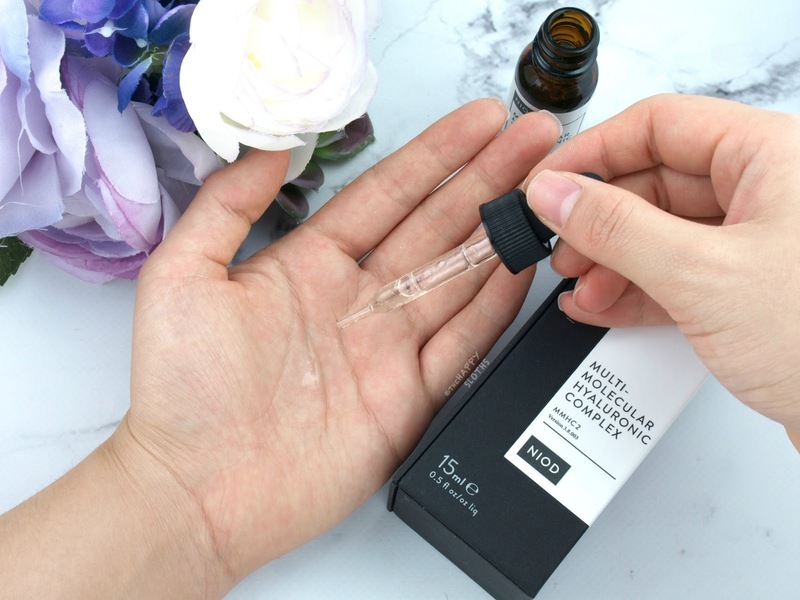 Although I like MMHC2's thinner texture, I do find that I have to use a lot more of it to cover my entire face, which is troubling considering that the price per ml of the MMHC2 is $2.3 while the price per ml of The Ordinary Hyaluronic Acid is $0.23. 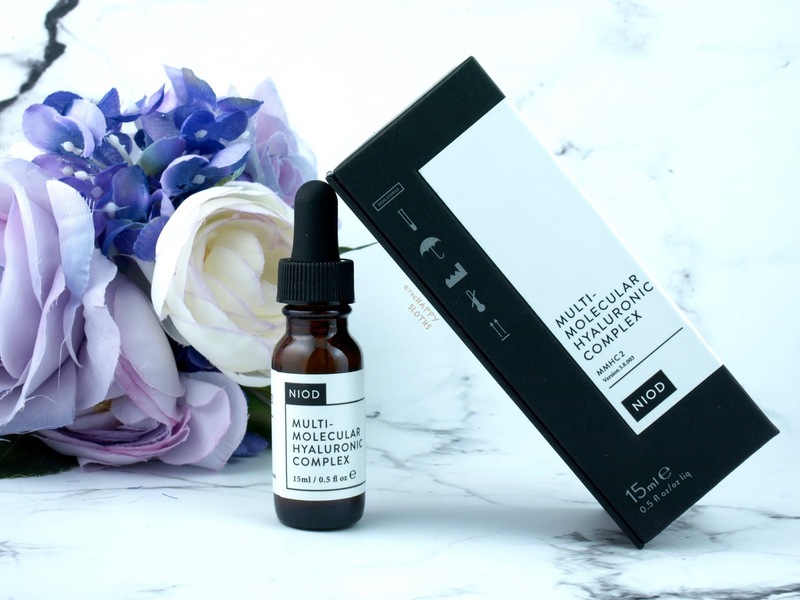 I have no doubt that the ingredients in MMHC2 are far superior and more potent in comparison but from the perspective of an average oily-skinned consumer, I don't know if the difference is worth it. Perhaps if you have dry skin, the MMHC2 will make a bigger difference but if you ask me, start with The Ordinary Hyaluronic Acid 2% and see where that takes you. NIOD and other DECIEM brands are available online at in stores at DECIEM boutiques. Free shipping is offered for any orders over $25 CAD!